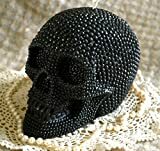 This Halloween, if your haunted home is missing that certain creepy something, then look no further than this cool new Rustic Silver Shaped Skull Candle. 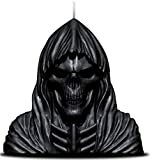 This ominous flaming skull is handcrafted from unscented paraffin wax and has an tunnel that burns down to help keep the skull's appearance. 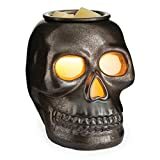 It has a 25 hour burn time, which should be long enough to keep you company on plenty of dark and stormy October nights. 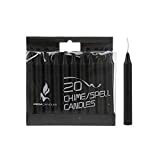 Mega Candles 20 pcs Unscented Black Mini Taper Candle | 4"